Today we left the St. Petersburg area and headed towards an auction in Lakeland. 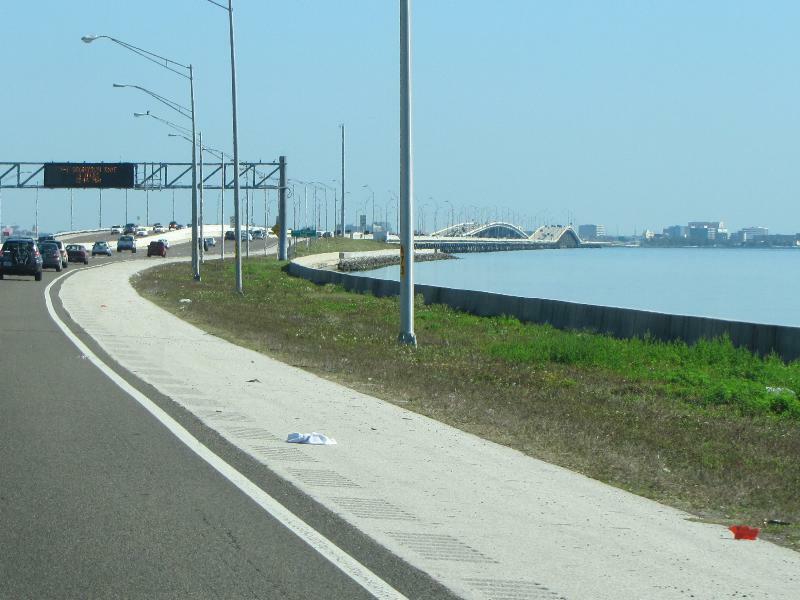 We traveled across Old Tampa Bay on The Howard Frankland Bridge, named for the local businessman who originally proposed the bridge. Nearly 16,000 feet long, it had a second set of lanes added so it now carries four lanes in each direction of I-275. It is a long bridge connecting St. Petersburg and Tampa. Care to expand on what “I think the same” means?